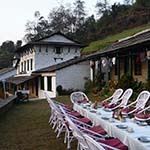 Gaun Ghar, meaning ‘village house’ is a charming, eco-friendly boutique hotel, situated in Bandipur, a renovated traditional Newari mud-and-brick building, with unique architectural features. 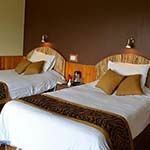 The guest rooms have preserved their traditional, simple decor, have en-suite bathrooms and stunning views of the town, surrounding hills and mountains. Free Wi-Fi is available. Relax on the terrace and dine in the cafe or restaurant on regional and international dishes made with local produce. 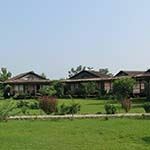 Tigerland Safari Resort is situated on the banks of a tributary of the Rapti River, which separates the hotel from Chitwan National Park. 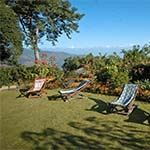 Spread across 8-acres, each cottage stands on short stilts overlooking the park so guests are often treated to the sight of wild deer and one-horned rhino. 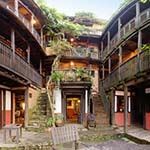 Rooms are well appointed with all modern comforts including air conditioning, WiFi, hair dryer, safe, tea/coffee facilities, private balcony and bathroom with shower. 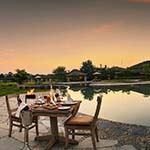 Activities centre on jeep and elephant safaris, boat rides and walking safaris. 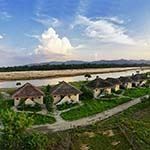 Barahi Jungle Lodge is situated on the tranquil banks of the Rapti River in the small village of Tharus, by Chitwan National Park. Accommodation is in luxury river facing cottages set in 12-hectares of lush vegetation. 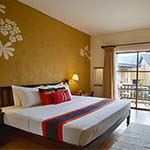 Rooms are decorated with a blend of contemporary and traditional Nepali furnishings, including wood, bamboo and elephant grass. 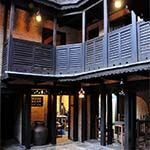 Each has air-conditioning, fans, satellite TV, en-suite bathroom and a private balcony with excellent views of the jungle. 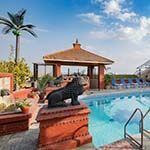 Enjoy the infinity pool and spa and dine on authentic Nepalese cuisine, as well as Indian and international dishes. 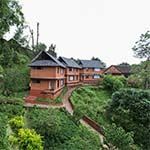 Situated within a mountain ridge, with panoramic views of the eastern Himalayas, Dhulikhel Mountain Resort is set within 20 acres of landscaped gardens, offering an ideal retreat away from busy Kathmandu city. 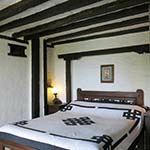 The spacious red-brick cottages have thatched roofs and in each guest room, carpeted flooring, en suite bathroom with shower and comfortable beds. 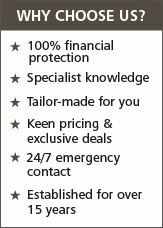 Satellite TV, air-conditioning, kettle and complimentary toiletries are provided. 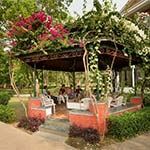 Relax on a deckchair or on the terrace and dine in the restaurant serving Asian and international cuisine. 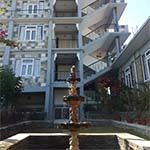 Hotel Himalaya is situated a short distance from Tribhuban International Airport and Kathmandu city centre. 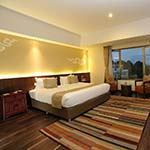 The en-suite guest rooms overlook the gardens, city and mountains, have contemporary decor and are elegantly furnished with comfortable beds and a luxurious bathroom. 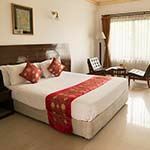 Air-conditioning, satellite TV, minibar, safe and tea / coffee making facilities are provided. 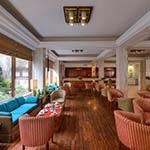 Relax in the lush, landscaped gardens by the beautiful, ancient Kumari Temple and adjacent ornate wood terrace, or in the bar and tea lounge. Enjoy the outdoor swimming pool and tennis court and dine in the restaurant serving international cuisine. 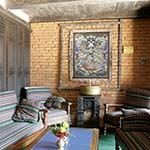 Shambala is a Tibetan themed boutique hotel situated along the embassy road in Kathmandu. 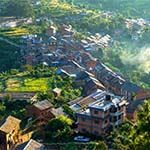 Offering the best in modern amenities combined with traditional Nepalese hospitality, all furnishings have been sourced from local craftsmen - including hand-knotted Tibetan rugs, hand-embroidered items, thanka paintings and hand-made furniture. 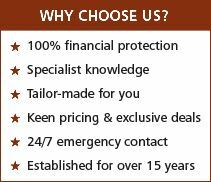 Each air conditioned room has TV, free Wi-Fi, safe, coffee/tea facilities, hair dryer and private bathroom with shower and toiletries. 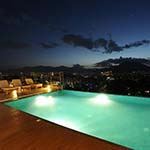 There is also a multi-cuisine restaurant, roof-top swimming pool with poolside café and a wellness spa. 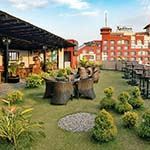 Hyatt Regency Kathmandu is a modern luxury hotel situated near the UNESCO World Heritage site of Boudhanath Stupa, on the old trade route with Tibet. 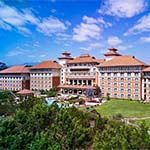 The impressive building features Nepalese architectural influences and the spacious, air-conditioned en-suite guest rooms have elegant contemporary decor. 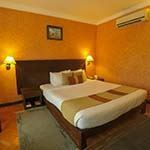 Satellite TV, safe, mini-bar, seating area and complimentary toiletries are provided. 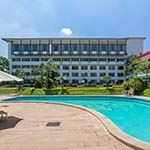 You can enjoy the swimming pool, spa, gym, landscaped gardens, bar and lounge. There is a choice of dining options serving local and international cuisine. 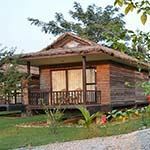 Buddha Maya Garden is a comfortable, tranquil hotel, situated within the Lumbini Heritage Site, close to the main temples, monasteries and archaeological ruins. 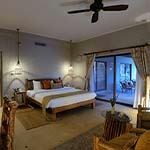 The en-suite guest rooms feature a seating area and a private balcony overlooking the lush landscaped gardens. 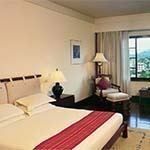 Air conditioning, ceiling fans, satellite TV and Wi-Fi are provided. 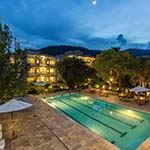 The hotel offers a selection of delicious regional and international cuisine in its restaurant and has an outdoor swimming pool. 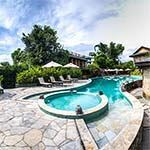 Temple Tree Resort and Spa is a tranquil, boutique hotel, situated by Fewa Lake in the Pokhara Valley and surrounded by the Annapurna Mountain Range. 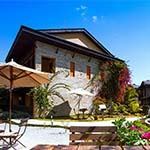 The guest rooms are housed within two-storey individual cottages and feature stylish but simple, rustic decor, wooden furniture, en-suite bathroom and private balcony overlooking the inner courtyard and lush gardens. 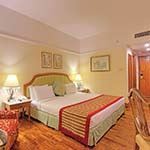 Satellite TV, free Wi-Fi and coffee / tea maker are provided. 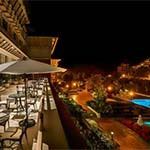 Enjoy the spa, the infinity swimming pool or relax in the poolside bar or on the covered terrace. 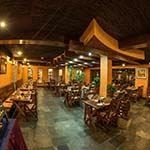 Dine in the restaurant serving international cuisine or take a short walk to the speciality restaurants nearby. 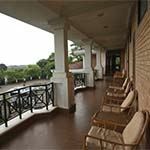 Srinagar Hotel is a comfortable, welcoming, Himalayan, hillside retreat, situated in Tansen, just 2km from Srinagar town, in the Lumbini area, which means, the ‘Light of Asia’. 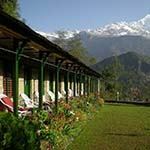 The hotel has stunning panoramic views of Dhaulagiri and the Annapurna mountain ranges, the Madi Valley and the town below. 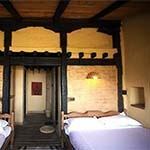 Each has simple wood panelled decor and en-suite bathroom. Dine inside the restaurant or on the terrace, serving Nepali, Indian and Chinese cuisine.